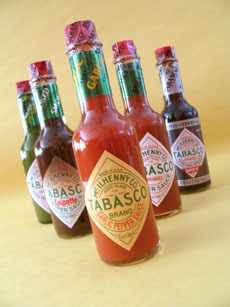 Original Red Tabasco is now quintuplets, each offering different expression in the Kitchen. From left to right, Chipotle, Garlic Pepper, Green Jalapeño, Habañero, Original Red, Sweet and Spicy. KAREN HOCHMAN is Editorial Director of THE NIBBLE, and is prefers her Tabasco on the milder side—except in Bloody Marys. CAPSULE REPORT: Since 1868, those who like it hot have been shaking spicy red Tabasco brand pepper sauce on everything from eggs to steak—and later, and most famously, Bloody Marys. The little red bottle is iconic. Even in households that don’t use much pepper sauce, the bottle can last a generation. It took more than 135 years for the Original Red Hot Sauce from Avery Island, Louisiana to have siblings...and in our opinion, some are even better! One (Habañero) is even hotter than the original Pepper Sauce, and one (Sweet and Spicy) is so sweet, you could give it to a child. Since 1868, Tabasco brand pepper sauce has been produced by McIlhenny Company on Avery Island, Louisiana, 140 miles west of New Orleans. A few years earlier, Edmund McIlhenny had planted some hot chile seeds from Central America and begun to experiment with pepper* sauce recipes. By 1868 he had begun to sell the pepper sauce, and during the early 1870s they reached New York City, where a major wholesaler, E.C. Hazard and Company, helped to introduce the product to the northeastern U.S. and beyond. The chiles from which Tabasco is made are capsicums. Capsicum frutescens and Capsicum annum are members of the Solanaceae botanical family, which includes the nightshades, and is not related to Piper nigrum, the black peppercorn from the family Piperaceae. However, when Christopher Columbus first tasted chiles in the Caribbean, the heat and spiciness reminded him of the peppercorn, and he appended the word “pepper” (pimiento in Spanish). Thus, while chiles are rightly called simply chiles by the descendants of the Aztecs, Incas and Mayas (the word is chilli in the Aztec language, Nahuatl), misnomers like “chile pepper” and “pepper sauce” have stuck with Europe’s descendants. Tradition holds that McIlhenny first used discarded cologne bottles topped with sprinkler fitments for distributing his sauce informally to family and friends. The sprinkler fitment was important because his pepper sauce was concentrated and was best used when sprinkled, not poured on. By 1868 McIlhenny had been encouraged by acquaintances to market the product commercially, and he did so, particularly in New Orleans, now using new cologne bottles. Sales grew, and by the late 1870's he sold his sauce throughout the U.S. and even in England. In 1870, Edmund McIlhenny received a patent for his unique formula for processing peppers into a fiery red sauce. That same process is still in use today, and Avery Island remains the headquarters for the worldwide company which is still owned and operated by direct descendants of Edmund McIlhenny. Since the beginning, the pepper sauce has been made with just three natural ingredients: fully aged red peppers, Avery Island salt and distilled high-grain natural vinegar. Aging produces the pungent, fiery pepper sauce. The hot peppers are still grown at Avery Island, allowed to ripen to the perfect shade of bright red and carefully picked by hand. While many pickers have expertise beyond doubt, newbies can gauge the color by comparing it to a small wooden dowel, le petit bâton rouge, (“the little red stick”), painted the ideal hue of the pepper. The picked peppers are mashed, mixed with a small amount of Avery Island salt (Avery Island is one of five salt dome islands off the coast of Louisiana, providing founder McIlhenny with a nice natural resource to make his pepper sauce), placed in white oak wood barrels and allowed to ferment. The mash is then aged for up to three years and blended with all-natural, high-grain vinegar. The mixture is stirred over a period of four weeks, the pepper skins and seeds are strained out and the sauce is then bottled. Tabasco says that some other hot sauces are processed in a day or two, and made with the more common cayenne pepper or salt as a primary flavor ingredient, whereas Tabasco’s superior ingredients, long aging period and far lower sodium creates a tastier product. 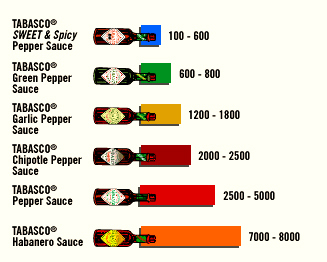 Let’s start at the bottom of the Scoville Scale—the amount of capsaicin heat in each bottle. The Tabasco family is nicely modulated: You can enter at Sweet and Spicy, which has the heat range of Hungarian Hot Paprika or a Pepperoncini Pepper, and follow the fiery path all the way up to Habañero Sauce, which is about as hot as it gets unless you follow the chili-head circuit and look for extreme sauces with names that include “pain” and “death.” If you’re just learning to love the heat—or if Grandma is coming to brunch—start at the bottom. You can work your way up. You can use any of the flavors to vary your regular recipes—Bloody Marys, salsa, barbecue sauce, e.g.—to see the different nuances of flavor that the other four deliver beyond the original Pepper Sauce (a.k.a. “Original Red”). Tabasco offers hundreds of recipes on its website for each of its flavors—in fact, there are almost a hundred ideas for each! 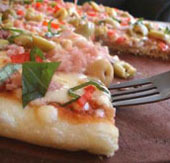 The Tabasco website (Tabasco.com) is loaded with recipes for every occasion (possibly barring a boatload of desserts. Here’s an overview of how you can use the different flavors of Tabasco). Flavor basting and braising sauces, marinades, sautés and stir-frys. Glaze directly, as an Asian-style finishing glaze, or mix with dry mustard to make a ham glaze. Drizzle on hot dogs and hamburgers, instead of ketchup. Mix with an equal amount of mayonnaise as a sandwich spread. Drizzle on nachos or a taco salad. Add to Italian dressing to make a meat or vegetable marinade. salad; use it to spark up bottled dressings. Pour over a block of cream cheese and serve with crackers. lobster and clams or steamed vegetables. With anything Mexican or Tex-Mex dishes: burritos, chili, enchiladas, guacamole, nachos, red beans and rice, salsa, tacos, tostadas—anything. As an accent to Spanish foods, like fish and chicken dishes and paella. With regular and grilled cheese sandwiches, BLTs, chicken, turkey, tuna, and roast beef sandwiches. Add to hearty chowders, stews and soups. 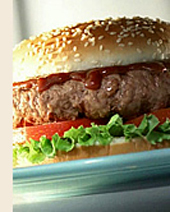 In beef-, turkey- or veggieburgers, mix in 1 tablespoon of pepper sauce per pound. Marinate wings overnight in a bottle of Green Sauce, then throw them on the grill. Stir into scrambled eggs and omelets: Add one teaspoon per 2-3 eggs when beating with water or milk before cooking. Or, when making Eggs Benedict, instead of pepper, add a teaspoon of Pepper Sauce in the Hollandaise. Add to dips (bean, cheese and hummus, salsa): 1 tablespoon per cup. Make an instant dip by mixing 1 tablespoon of Green Sauce per cup of cream cheese or sour cream, and you have an instant dip for chips. Mix into hot cheese dip, cheese sauce or fondue: 1 tablespoon per cup. Splash it on pizza and you need neither crushed red pepper nor the garlic shaker. Make an easy pasta Arrabbiata, either by adding to a sauce or shaking directly on the pasta dish. Add to mashed or baked potatoes for a nice, spicy flavor. Stir 1/2 teaspoon or more into your favorite pasta sauce when heating. Add to chili, stews, and soups. Make sauces spicier—even curry sauces. Mix with melted butter for basting grilled steaks. Mix into potato or tuna salad. Mix with Italian salad dressing as a marinade for chicken. Enliven hash browns and home fries. Stir into sour cream and chopped green onion. Serve as a dip for veggies. Spice up French or Ranch salad dressings. Give spark to salsa or seafood cocktail sauce. This is the favorite sauce of the president of McIlhenny Company, Paul McIlhenny. For a long time, he shared it only with close friends and family: Now you can be part of the in-crowd. 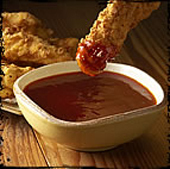 The sauce is made from select smoked red jalapeño peppers that are slow-smoked to produce a rich, thick-bodied sauce. There’s a good balanced of heat and flavor, and those who like heat in their condiments can use it as a steak sauce. It adds heat and great smoky sizzle to marinades (there’s a reason it sells well in the gallon-size). Marinate boneless chicken breasts, steak, pork and other meats before grilling. Marinate fish, shrimp, oysters, and other seafood before breading and deep-frying. Brush on steaks, pork loins, kabobs and vegetables before grilling, in place of barbecue sauce. Add to hamburger patties or meat loaf. Enliven egg salad or deviled eggs. Add to butter or sour cream as a topping on baked potatoes. Stir into a pimento-cheese spread to fill celery sticks, crackers or tea sandwiches. Many people use the original TABASCO® brand Pepper Sauce as a table condiment, splashing it on everything from breakfast eggs through dinner steaks and chops. But as with all flavors, it’s equally versatile as a cooking ingredient—try 1 teaspoon per quart, for starters. Spicy Bagels: Add a dash of TABASCO® Sauce to cream cheese to make a spread for toasted bagels. Cocktail Sauce for Seafood: Mix 1/2 cup ketchup with 2 tablespoons fresh lemon juice, 1/2 teaspoon TABASCO® Sauce, 2 teaspoons Worcestershire sauce, and 1 tablespoon drained prepared horseradish. Crudité Tip: Stir together 1 cup mayonnaise, 1 tablespoon ketchup and 1 teaspoon TABASCO® Sauce. Use it as an ingredient in stews, dried beans, gravies and soups. To cater to the chili head audience, which likes things hot-hot-hot, the company created a sauce with serious heat based on the habañero, the world’s hottest commonly-available chile. It’s mixed with mango and papaya to create a fruity, Jamaican-style blend—although don’t let the word “fruit” lull you into a sense of comfort. Proceed with caution: this sauce is not for the faint of palate. It’s best to use in ethnic dishes—African, Asian, Cajun, Caribbean and Mexican—when you really want to ratchet up the heat. Other than that—because you know who you are—we’re not even going to suggest how to use Habañero Sauce: You’ll try it on anything. The Tabasco company website, Tabasco.com, has many usage suggestions and dozens of recipes for each flavor, most of them quite creative. Habañero Lox with Jalapeño Goat Cheese Spread, anyone? There are gift items so you can give a “hot gift” to a cook or condiment-lover; and for those who can’t be parted from their Tabasco for a moment, holster-holders that carry the 2-ounce miniature size. 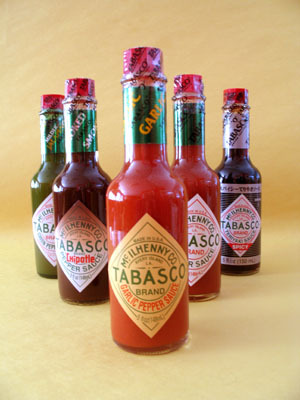 For product information and recipes, visit Tabasco.com.